ProCook Elite Forged X70 knives ooze style and functionality. 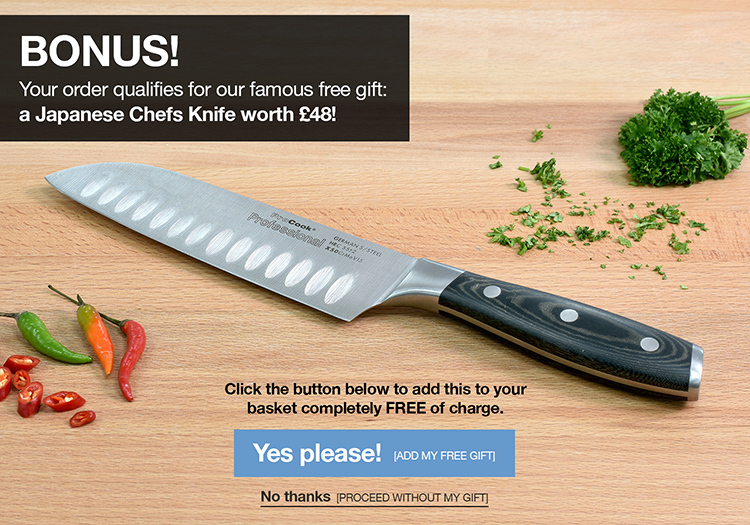 The 6 piece set includes 9cm paring, 13cm utility, 18cm santoku, 15cm chefs, 25cm bread and 25cm carving knife. These exceptional knives are at the pinnacle of knife performance and have a reassuringly weighty feel in the hand. Made from a single bar of German stainless steel, these substantial knives are hot forged and stone ground before finally being ice hardened to -70C for 3 hours for outstanding edge retention. The composition of the stainless steel blade is referred to as X50CrMoV15 denoting it uses X50 stainless steel HRC rating of 57&plusmn;1 incorporating 0.5% carbon, to ensure a non-brittle blade and 15% chrome with molybdenum and vanadium for high resistance against corrosion and anti-tarnish. Due to the hot forging & ice-hardening process, the Rockwell hardness rating of these knives is lifted to the equivalent of 0.7% carbon or X70 steel. The set comes with a storage case made from the toughest canvas for durability. It will safely store up to eleven of your most essential knives and allows easy transportation. To care for your set wash your knives by hand and wipe the block with a soft cloth. Not dishwasher safe. Knives 25-year guarantee / Case 1-year guarantee - ProCook design, manufacture and supply innovative quality product and cut out the middleman to bring you unbeatable prices. High quality knives, very pleased.